There are a lot of cookie recipes out there competing for our love, praise, and affection. I actually thought about that last night as I watched the dramatic season finale of The Bachelorette (part 1) unfold. Yes, I watch The Bachelorette. NO JUDGING! I don’t even care how staged and scripted it is….it’s just so addicting! I never really watched any of the previous seasons before, but now I’m hooked. Ben was creepy. James was fake. Anyone else think Des would’ve been great with Zak? Drew’s weird. Chris is okay, and he’s from my favorite city (Seattle!). And what the heck, Brooks?! So many thoughts. Mid-commercial, I just had to get up and get a cookie. Cookie recipes and The Bachelorette kinda have a lot in common if you think about it. I’m serious! 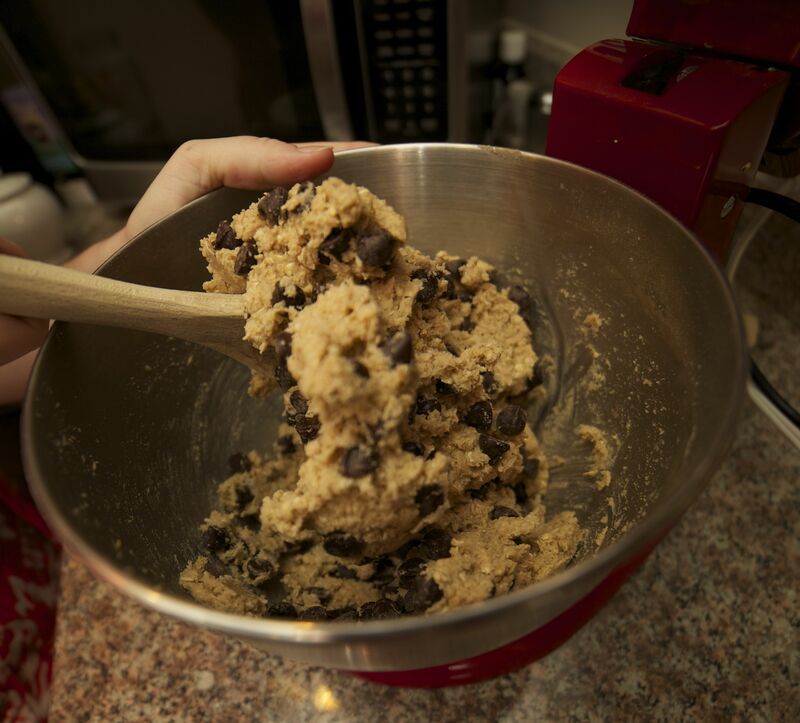 You know that most, but not all, of the recipes out there are going to give you a delicious chocolate chip cookie when you’re done. 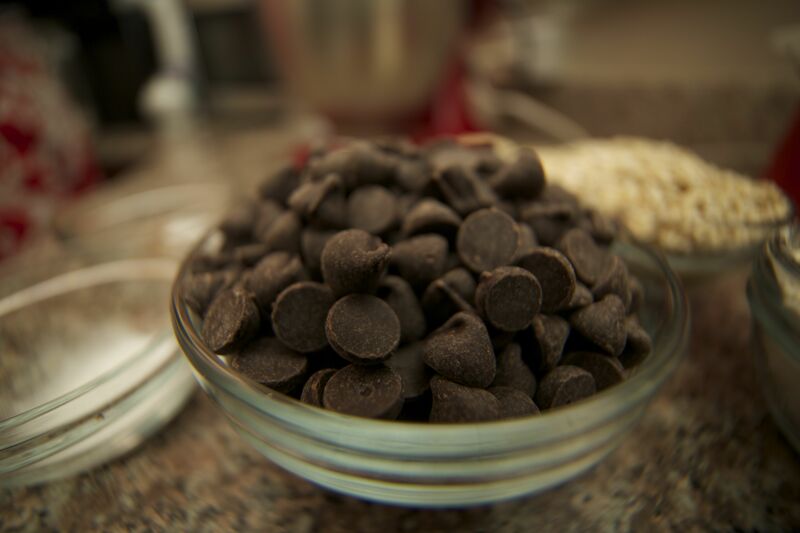 But which recipe is going to melt your heart….huh? Which recipe is going to “MARRY” (…hehe) those flavors in harmony? Is there enough…chemistry…. (I’m on a roll!) with the ingredients? Okay I’ll stop. So what’s a girl to dooo!? How do I choose among all of these mouthwatering recipes? Well, I got a little crazy – I made my own recipe. I love to research a ton of recipes out there to get a sense of ratios (I’m still learning) and then I have a little fun. This is what I came up with, and it TOTALLY worked! Sean (NOT a Bachelorette fan, by the way) really loved them and went back for more. WIN!!! Mix the brown sugar and butter together. 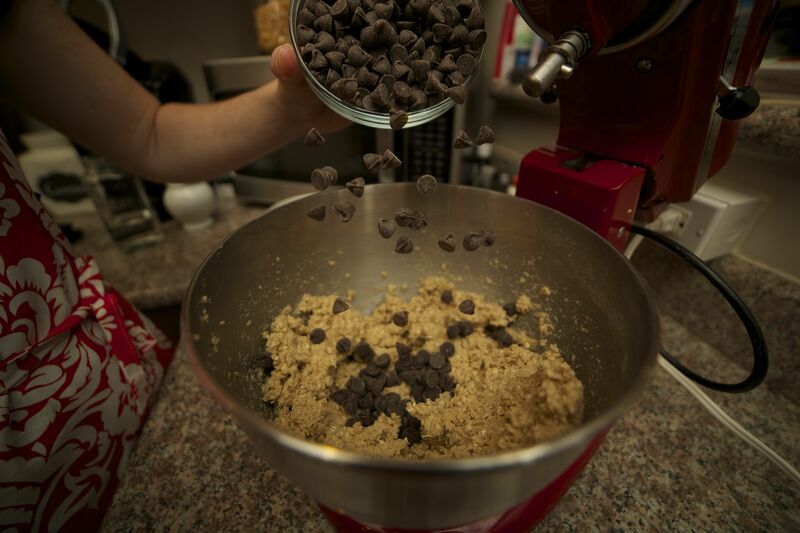 Keep the mixer on low, and add in the vanilla extract, egg, nutmeg, cinnamon, and baking soda. 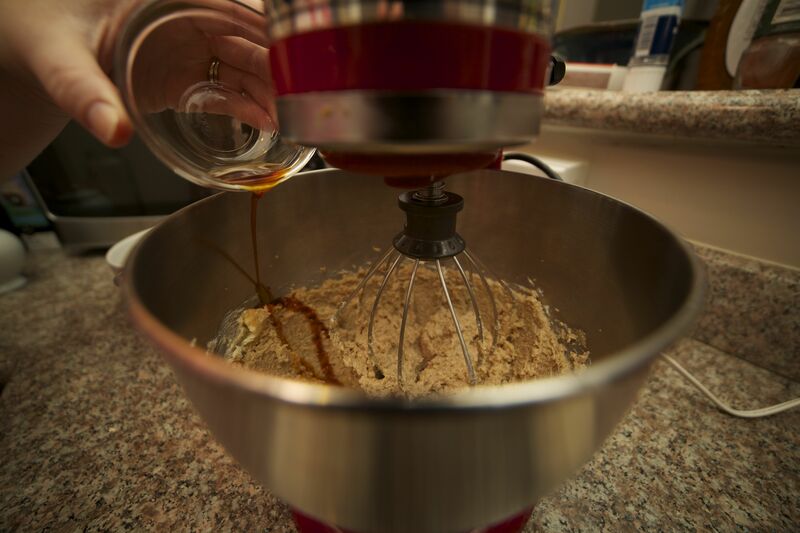 Replace the whisk with a more durable stir…er…(is there a better title for that?). 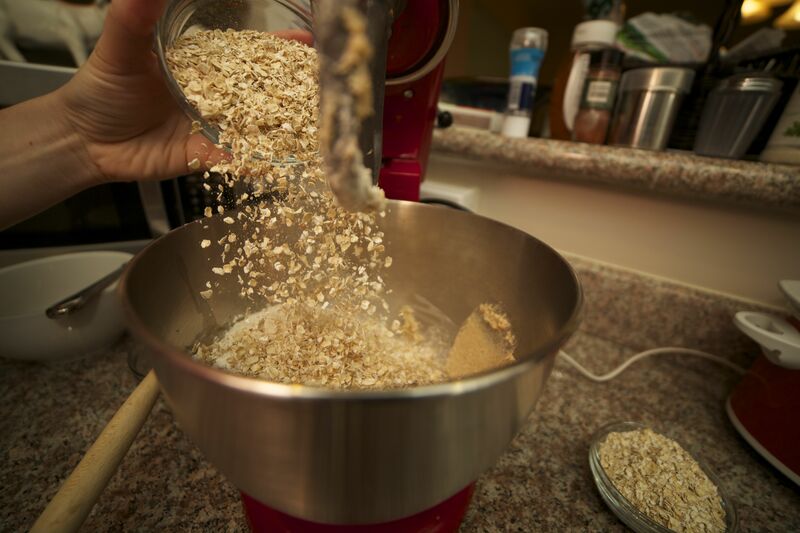 Then, add the flour…stir slowly….then the oats….stir slowly….then stop. Add the BEST part of this recipe!!!!!!! 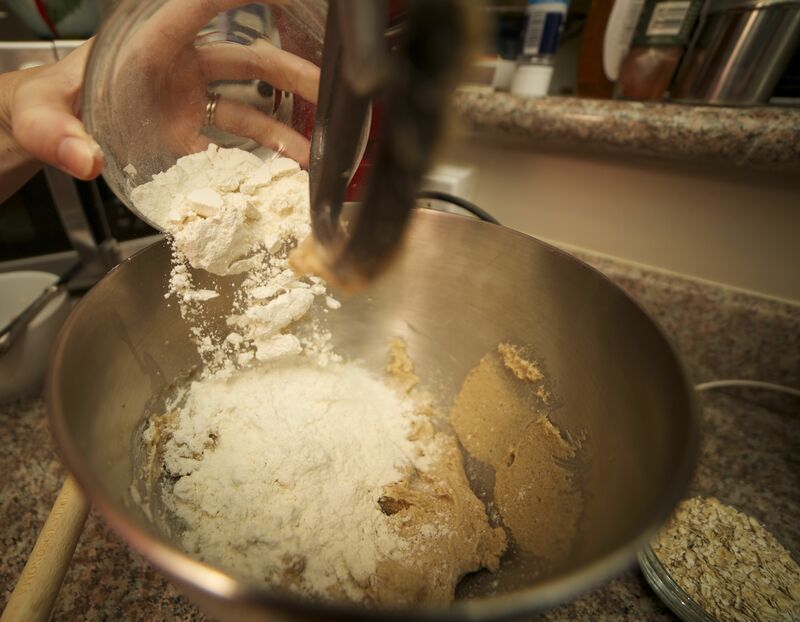 But stir it in by hand with a wooden spoon, otherwise the mixer will begin taking on a life of its own. Roll each piece to the size of a golf ball, and place them on an ungreased cookie sheet. Then into the oven they go! About only 10 minutes should do the trick. Sorry…I don’t have photos of this part because Sean’s camera ran out of battery. You get the idea! They were out of this world. If you want to see how delicious they looked, check it out and follow me on Instagram! Any favorite cookie recipes of your own? Comment and let me know!